David and Armin chose a garden wedding with a waterfall for their 10th Anniversary vow renewal on Maui. 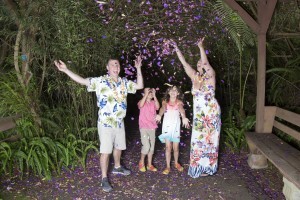 Ten years ago David and Armin created a new family and now two beautiful children have come into it and they got to come to Maui with Mom and Dad to celebrate. After a sweet and romantic renewal ceremony led by Rev. 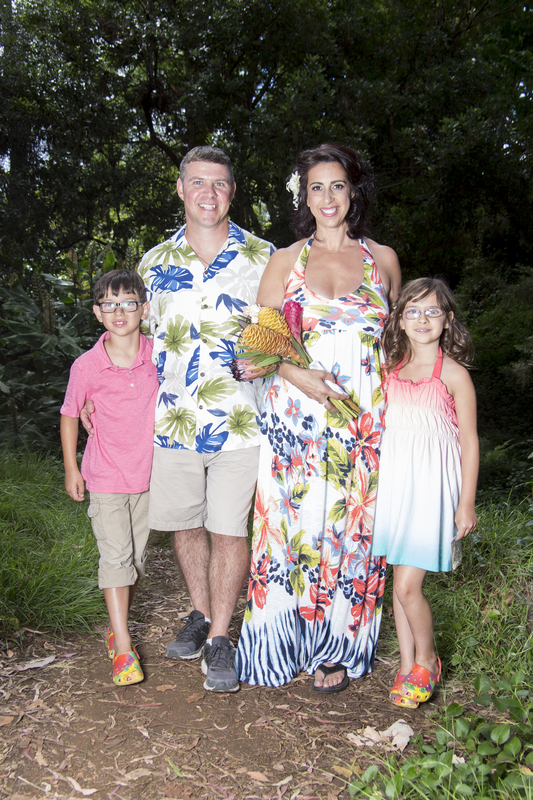 Ayesha Sandra Lee, the happy family strolled around the Kula Gardens many splendors, being photographed by Cathy Simone of Maui Imprints Photography. Validation: Sum of 3 + 10 ?